Born Jason Vassell reggae recording artist Brain was born and raised in the beautiful parish of Portland. As a child growing up without a father was never a deterrent to Brain who was raised along with his younger brother by his my mother. At a very early age Brain had a burning desire to entertain, he took part in his schools drama club which got his national exposure at festival events at that time but this was only the beginning of things to come. During his early teen years Brain found inspiration in music icons such as Michael Jackson, Bob Marley & Shabba Ranks. While attending the Port Antonio High School Brain began to display his singing and performing abilities at school concerts and community shows. His main genre of focus was always Reggae & Dancehall though he would sometimes dabble into other forms of music such as Hip Hop. Still young in the business Brain continued to build a fan base through performances at events such as Portland Pepsi Jerk Festival, Bling Dawg Summer Jam, Camp Fire, Guinness recharge in Ocho Rio, Asylum Night Club and Summer Sizzle to name a few. In 2005 Brain release a single called "Lester" which took radio stations like IRIE FM and Fame FM by storm. Over the years Brain has recorded songs for a number of prominent recording studios including Mixing Lab, Down Beat Studios, King Of Kings and the well known Gee Jam Recording Studio in Portland. Still recording new music Brain is hoping his latest efforts will be good enough to break down the barrier in his way. 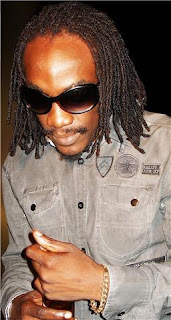 Currently his songs "Dem Nuh Hear Nuttin Yet", "Journey Is Hard" and "Feeling It" has been creating a Buzz for him not to mention appearances in several print mediums such as Axis Magazine and Souvenir Magazine. Determined to take his musical career to higher heights Brain says nothing will stop him from making it. "Right now the possibilities are endless and I don't see myself ever quitting music, even after I have achieved my goals, because the sky is the limit".